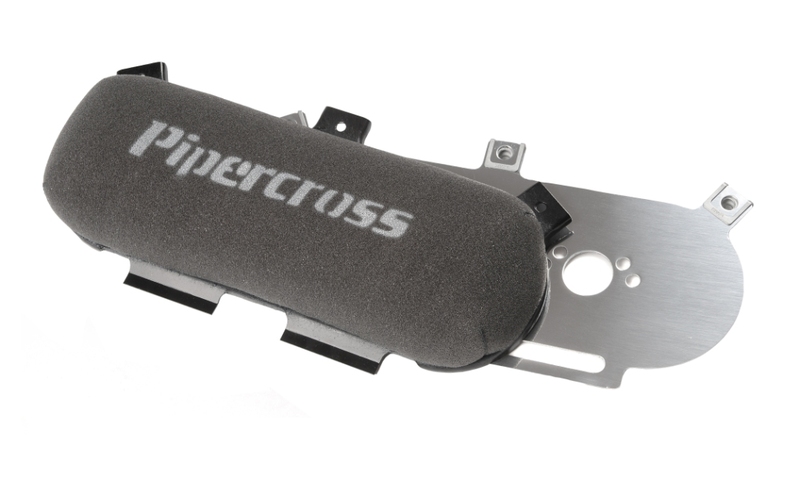 Performance filtration specialist Pipercross has created the perfect solution for anybody wishing to run a motorcycle engine on their kit, race or road car. Its extensive range of PX500 base plates and filters ensure a simple and effective fitment for many of the most popular Suzuki and Honda engines, allowing them to run a competition-spec Pipercross filter for optimum airflow. The PX500 system is based around a smart aluminium baseplate, which is tailored for each application. Versions for the Honda Fireblade and Blackbird engines are available, as well as the Suzuki Hyabusa and both 1000 and 600 GSXR powerplants. Blank plates are also available for tuners needing to create a bespoke application. For those looking for optimum surface area and where space isn’t an issue, the ‘box’ filter offers a neat and hugely effective method of induction. Its increased height also allows the use of velocity stacks, where appropriate. Also available is the low profile ‘domed’ filter, which is ideal where space is at a premium, for example, when carbs or throttle bodies end up being close to the bonnet or bodywork. The filters affix to the base plates with Dzus fasteners, which allow for rapid removal and replacement and can be ordered in either ‘race’ or ‘off road’ foam specifications, as well as a variety of heights to cope with differing induction set-ups. All filters use Pipercross’ unique multi-layered foam construction, which means not only means a higher rate of flow, but also that, compared to even the leading cotton-gauze replacements, Pipercross foam filters can go for up to three times longer before needing any servicing or cleaning. This can be done indefinitely for the life of the filter. Little wonder then that many cars from the BTCC grid will run Pipercross filtration this season. Prices start at just £83.99 Including VAT. For more details on the 3,000 vehicles covered by the Pipercross range, please visit www.thepipercrossshop.co.uk or call the team on 01933 685849.